Across the street from Saint John City Market is King's Square. 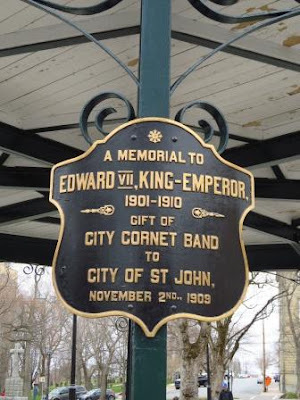 Surprisingly there is no website dedicated to it to learn more. 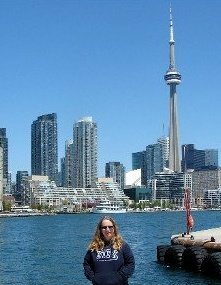 It was a lovely park to walk around and sit for a bit. 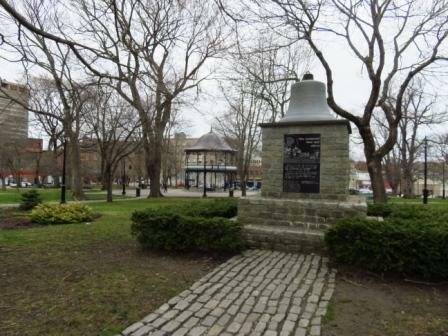 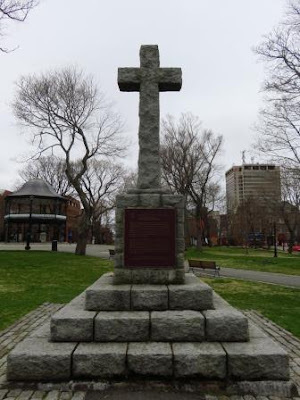 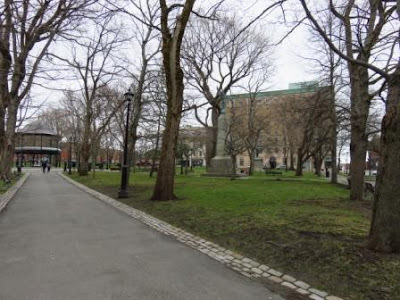 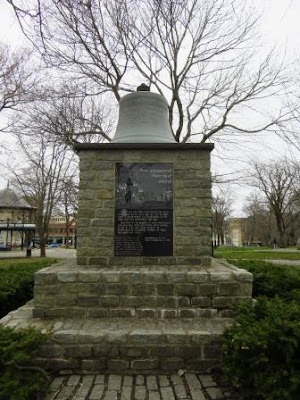 The square was named for King George III and granted to the city of Saint John by Royal Charter in 1785. In the early years, the grounds were the site for such public uses such as oxen roasts, fireworks displays, militia parades, cricket games, public wells, a slaughter house and agricultural fairs. 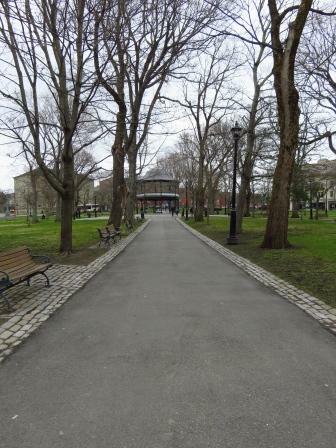 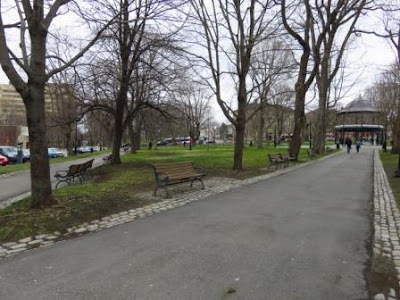 It was developed into a park in 1844 and the current design of paths was laid out. 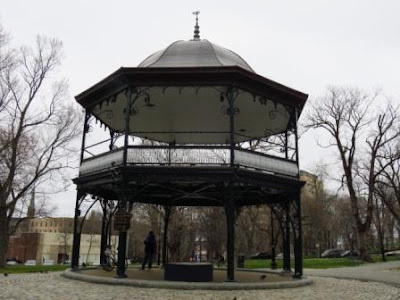 The bandstand in the middle of the square was designed and built in 1908 for the city coronet band by Neil Brodie, a local architect. 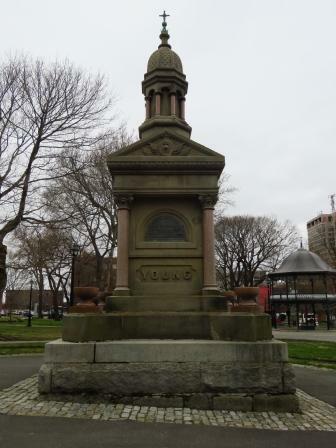 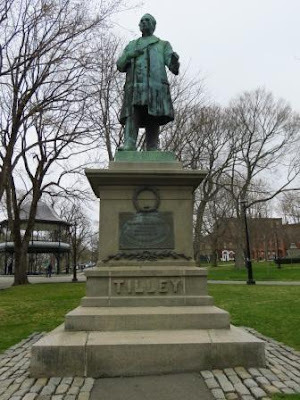 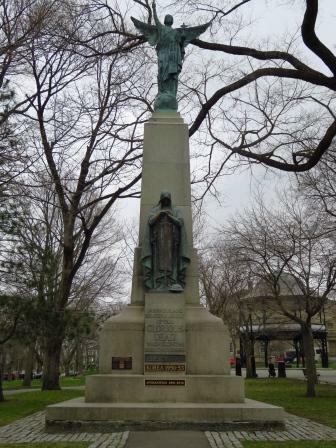 One year later, it was donated to the city of Saint John in the name of King Edward VII of England. 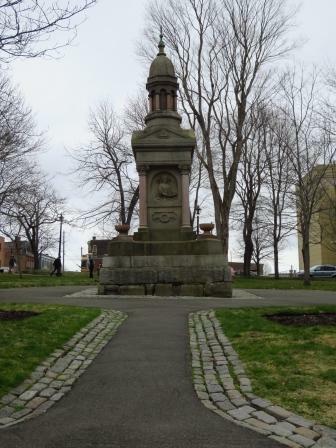 There are many monuments and statues scattered throughout the square. Frederick E. Mundee from drowning"
alarm while serving in line of duty.